My wife and I both attended four year colleges right after high school. It felt like the only option for us. Our parents had told us that college was mandatory when we were growing up. We never considered a life where we didn’t go to college. In fact, I was the first in my family to get a college degree right after high school. Thankfully, I was able to escape college student loan debt free. Between help from my parents, working jobs throughout college as well as winning scholarships, I found ways to pay for school as I attended. My wife wasn’t so lucky. While she also received some help from her parents, she ended up using student debt as the main source of money to pay for school. When she graduated, she owed over $80,000 in student loan debt. Looking back, my wife did have to take out some student loans to attend college. However, the $80,000 of debt partially came from not knowing what she was getting into with student loans. Here’s what we learned about student loan debt the hard way. Everyone talks about getting financial aid when you go to college. We always thought that aid would mainly be through federal student loans. However, federal loans won’t pay for your whole college education. Instead, federal student loans are capped for each year you attend school. There is also a total cap for the amount of federal loans you can take out. I don’t remember what the caps were when we went to college. However, here are the current caps which can affect you. For the first year of college, you can only take out $5,500 in total federal loans and a maximum of $3,500 of that can be subsidized loans. For your sophomore year, the total you can borrow increases to $6,500 and the subsidized limit increases to $4,500. Starting in your third year and beyond in undergraduate study, you can borrow a total of $7,500 per year of which at most $5,500 may be subsidized loans. There is also a total limit of federal student loans you can borrow for undergraduate education, which is $31,000. Only up to $23,000 of that total may be subsidized loans. If those loan amounts seem low compared to the cost of attendance of many universities, that’s because they are. 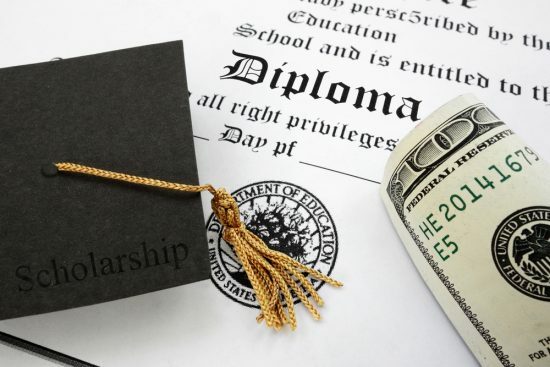 Once you combine all of the tuition, fees, room and board costs, book costs and other miscellaneous costs, you may realize you need to borrow more money to attend school. For instance, I took a quick look at the total cost of attendance at my alma mater, James Madison University. The expected cost for a year at school is $24,802 for in state students. If you attended the school I chose and took out the maximum of $5,500 in federal student loans, you’d still have to come up with another $19,302 to pay for your first year of school. So, if you don’t have cash for your school expenses and you can’t get enough federal student loans, how do you pay for the rest of your school costs? For many people, including my wife, the answer is private student loans. Private student debt are vastly different from federal loans. For starters, private student loans are issued by private institutions. These institutions are mostly interested in lending to make money. That means that these private lenders probably don’t have your best interests in mind when approving you for a loan. There are no limits on how much money you can borrow with private student loans. Technically, you can borrow as much as a lender will approve you for. Unfortunately, that leads to many students taking out more money in loans than they really need to attend school. Private student loans don’t have set interest rates and repayment terms like federal student loans do. Some of the debt my wife had to take out were variable interest rate. At times, the interest rate increased to over 10% interest during the credit crisis. Needless to say, these student loans were much more damaging than a fixed interest rate federal student loan. To make things even more interesting, private student loans don’t offer the same benefits as federal loans. For example, private loans may require you to begin repaying them while you’re still in school. 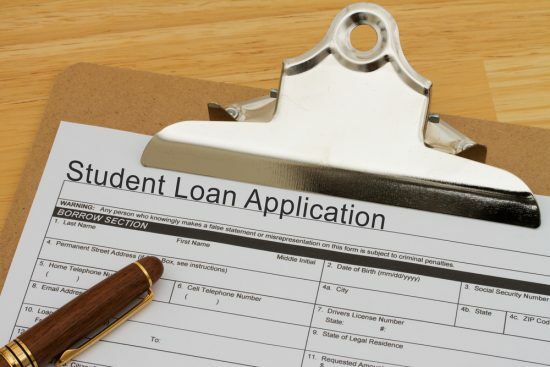 Private student loan interest rates usually depend on your credit score. If your score isn’t great, you may need a cosigner or you’ll be stuck with a sky high interest rate. Private student loans do not always offer deferment or forbearance options that federal student debt does, either. If you’re considering private student debt to pay for the rest of your college costs, be very careful. Read everything you can about the differences between federal and private student loans. Make sure you understand the differences before taking out private student loan debt. You need to make sure you follow one of the most important rules for borrowing money to pay for college education. It doesn’t matter whether your take out private student loans or federal student loans. You should never take out more money than you actually need to pay for your college costs. Like with many other financial decisions, it may be hard for college students to determine what is a need versus what is a want. If you’re borrowing money to pay for school, use that money for classes, books, a reasonable place to live, food, internet, supplies and other essentials that you’ll need to further your education. Notice I didn’t say that you should use the money to rent a luxury college apartment with granite countertops and 60″ flat screen TVs. While there are plenty of opportunities to live a nicer life while you’re in college, you’re not there to live in luxury. Instead, rent an average apartment and get roommates to split the costs. Similarly, you shouldn’t be blowing a ton of money dining out or purchasing alcohol for parties. It’s reasonable to want to treat yourself occasionally. Just make sure it doesn’t become a regular habit. Remember, you’re in school to learn and improve your odds at landing a better paying job after you graduate. No one I knew in college took a serious look at how much money they’d make after the graduated. They might have read an article stating the average wages of college graduates. However, no one ever spoke of researching their future line of work and how much the average starting salary would be. Before you ever set foot on a college campus as a student, you need to know what you’ll be getting out of your education. That means you need to have a reasonable idea of how much money you’ll make after you graduate based on research rather than word of mouth. You need to focus on choosing a course of study that will be able to pay off your loans. If your future salary isn’t sufficient to pay off your loans, you might be better off choosing another course of study, a different school or skipping college altogether. When my wife started college for her nursing degree, she had no idea how much a registered nurse makes in a year. She got lucky and her wages from nursing were enough to pay back her loans. Unfortunately, she had to make many sacrifices to make it possible. Her minimum payments exceeded the cost of the typical car loan. In fact, they actually exceeded what I paid for my share of rent in my first post college apartment. If she had attended a less expensive nursing program, her payments would have been more reasonable compared to her income out of school. Similarly, if she had attended a school closer to home and was able to live at home, her costs and loan payments would have been greatly reduced. When my wife graduated from college, refinancing student loans seemed impossible. We would occasionally get a piece of mail detailing a student loan refinancing program. Unfortunately, the interest rates or other terms were always worse than the debt she already had. Little did we know there were companies like CommonBond.co and Sofi. These companies would have allowed us to refinance her student loan debt and save us money in the process. I wish we had researched refinancing her student debt more thoroughly when we were paying them back. That said, we probably didn’t lose too much money because we paid back her loans in just three years. If you have student debt, it makes sense to at least take a look at refinancing and the best student loan consolidation option. You could be able to save a significant amount of money depending on the interest rates on your current loans. 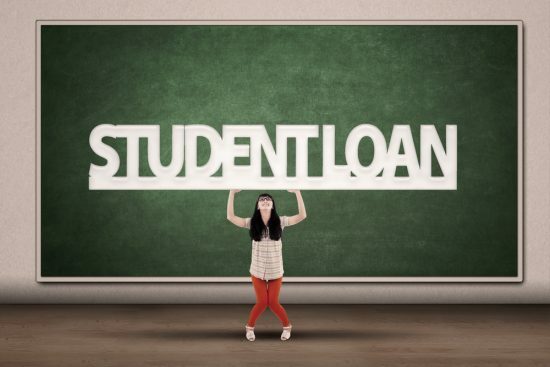 Just be aware that if you refinance a federal student loan to a private student loan, you’ll lose the benefits and protections that federal student loans offer. You may not have the same repayment options, either, such as income based repayment. Like most college students, we learned a lot about student loan debt. Unfortunately, we learned about it when we had to start paying it back. If you’re in the process of deciding whether or not to take out debt to attend college, I hope you paid attention to the lessons we learned. It could save you from going through the pain we had to endure while we repaid over $80,000 of student loan debt.